We are pleased to announce the 2017 All-America teams. These 14 players were selected for their performance in the 2017 college season, looking at both the regular season and the full college series, including Nationals. Please join us in honoring the best college players of this season. It’s no surprise that the 2017 Ultiworld Player of the Year is the first selection to the All-America list. As one of the nation’s best handlers, Sadok led UMass to a double game point semifinal loss at the National Championships, a game where he threw four assists and caught six goals. As much as Sadok was a backfield threat he frequently showed the ability to slip out of the handler space and roast his man deep, a impressive skill for a player who stands just 5’6″. The ZooDisc captain also played his part on defense, launching pulls, leading his team to breaks on the turn, and playing a key role in their 1-3-3 set. 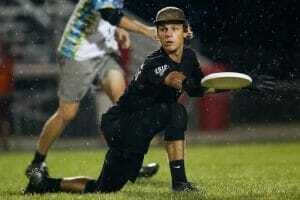 Down 12-8 in the semifinals of the College Championships, Wilmington turned to Jack Williams. As he so often does, he delivered — finishing the game with nine assists, one goal, three blocks, and the W. Then, with one injured leg, Williams was still contributing goals and assists as the National final slipped away from the team he willed to its best finish since 1993. And even that undersells Williams’ ability to completely take over a game. Far beyond the limited counting stats and face-melting blocks or catches, Williams is the kind of competitor that leads by example. He exhibits a ferociousness unlike any other player in the division, an unwillingness to give up on any disc on any play in any game. Beyond that, his incredible sportsmanship and leadership means the tide has begun to turn for the better with Wilmington’s checkered reputation, a fact noted both by opponents and commentators this spring. His teammates and coaches have all frequently proclaimed that Williams is the best player in the country and, based on his showing in Cincinnati, it’s hard to argue. Despite his unspectacular and somewhat inconsistent regular season, his Nationals MVP performance earned him Player of the Year runner-up status. Williams may have only scratched the surface of his otherworldly potential so far, but he leaves a lasting legacy both on the UNC Wilmington program and the college division as a whole. El-Salaam is truly a do-it-all player for Washington. Often standing out most for his sheer athleticism with Seattle Mixtape and the US Mixed National Team, he has for years displayed a far more rounded game with the Sundodgers. From jaw-dropping throws to field-shrinking defense to inspiring emotional leadership, it is impossible to watch Washington and not notice Khalif on each and every point. 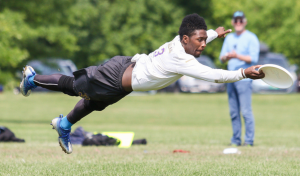 If there were a dictionary of terms for the college division, you’d see Khalif’s picture right next to the definition of “playmaker.” His 2017 Nationals performance was a revelation; his countless layout grabs, poster-perfect skies, and incisive throws helped him put together the most impressive weekend by a player not named Jack Williams. In Washington’s prequarter matchup against Oregon, El-Salaam was virtually unstoppable en route to a win over their regional rivals. Although he missed some playing time in the regular season, his overall performance was more than enough to earn him a POTY runner up spot and made him a lock for First Team All-American. Tremendously underrated on the national level heading into the College Championships, Alex Olson was the offensive linchpin for the 2017 National Champions, Carleton CUT. On a team loaded with junior National Team talent, coach Phil Bowen entrusted Olson with the keys to the O-line and Olson did not disappoint, leading Carleton to their first title since 2011. Despite missing the early part of the season while he was abroad, Olson was one of the most consistent performers at the handler position in the division from the Stanford Invite forward. 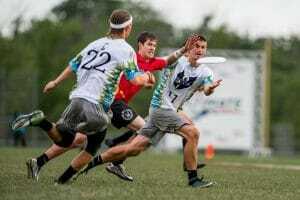 His patience and decision making with the disc kept a young team collected, and his confidence in his ability to execute technically difficult throws allowed him to make plays when the offense needed it. His connections with Henry Fisher were deadly all season, and his six assist performance in the final was simply too much for Wilmington to handle. With at least one more season before his college career comes to a close, Olson will be a star man in CUT’s title defense next spring and should be in the thick of the POTY race all year. While his team spent the season slowly trending upward in ability and cohesion, Adam Rees spent it being the best player on the field for Oregon Ego at all times. When the all-chemistry O-line was shaking off rust in the early spring, Rees was getting blocks to earn the disc back. 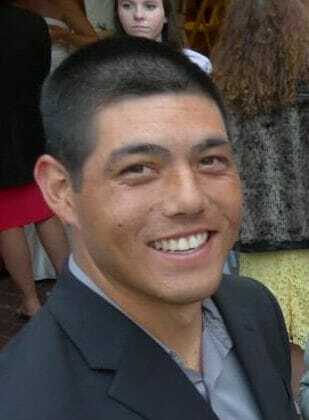 As the team found its footing, he got right back to firing pinpoint hucks out of the midfield. After Northwest Regionals, team co-captain Tim McGinn compared Rees to the San Antonio Spurs’ star Kawhi Leonard — a long-armed, high IQ defensive ace who’s grown into an offensive weapon while staying conspicuously quiet and focused during his rise. That feels fitting for Rees, who — even in the tightest games and biggest moments — has been the go-to utility man for Ego, playing on any line that needed him, flexing onto tough assignments, taking over hucking duties, chasing down blocks and tough catches, and doing it all with a quiet smile since he won Breakout Player Of The Year in 2015. Pittsburgh’s defense asserted itself as one of the division’s top lines this spring, in no small part due to Sam VanDusen’s rise to prominence. VanDusen’s length, quickness, and anticipation made him one of the top one-on-one defenders in the college game and his gigantic pulls stood out in a division not know for excellence in that arena. Of course, he also happened to be arguably the team’s best offensive weapon, as well. Not only was he the most valuable member of the D-line offensive attack, he was also one of the few players to crossover for En Sabah Nur in key situations to join a cohesive offensive unit. VanDusen showed off a nice array of breaks, but he will be remembered for his enormous deep throws that opened up the field and generated quick breaks. Matt Gouchoe-Hanas was the offensive fulcrum for UNC Darkside, one of the most polished O-lines in the country. A quick glance at his Nationals stats reveals his importance to the team — 17 goals and 19 assists, good for fourth and fifth at Nationals, respectively. Reprising his freshmen role as a downfield cutter this year, Gouche-Hanas made the Darkside offense dynamic, frequently hitting Walker Matthews and Norman Archer deep or taking his mark to the house himself. A two-way player when the chips were down, Darkside turned to Gouch to make plays when they needed them most. In Cincinnati, he was equal to the job, helping to lead Carolina back from a 13-10 (and previously 5-0 and 10-5) deficit against Wisconsin in the quarterfinal, where he caught the winning goal to extend UNC’s season. A true five-tool player, Barker was the heart and soul of Wisconsin’s offense. Physically dominant downfield and a threat to uncork massive hucks off of in cuts, Barker carried a big load for the Hodags this season. His value was demonstrated by both his presence and his absence as an early season injury kept him off the the field and Wisconsin’s offense suffered as a result. From Easterns on, Barker was one of the best dual threats in college, leading the charge for Wisconsin with the disc and ferocious on defense when they needed to get it back. He lead Wisconsin to the quarterfinals at Nationals with a 13 goal, 15 assist performance that showed his versatility and importance to a Hodags team that came within one crazy universe point of reaching the semifinals. Stanford Bloodthirsty’s best thrower took his skills to a new threat level in 2017. He and deep threat Nolan Walsh barely needed eye contact to connect on booming shots out of the Stanford side-stack and pull plays. And when the offense couldn’t get the huck game going, Chartock exhibited a zen-like patience in the backfield, scampering from reset to reset to keep Bloodthirsty’s offense clicking until they wore down stout defensive sets. And while Chartock made his name with jaw-dropping long range throws, his unmatched level of calm on the field during tough points may have been his most valuable asset. Nothing shook him — his confidence allowed his cutters to find the space they needed and when there was none, he just kept on going. 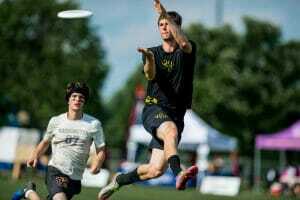 Despite not being at Nationals, Bray’s transcendent regular season performance was enough to earn him Ultiworld’s Offensive POTY, and a spot on the All-American team. While he was not the only talented player on Georgia, much of the load for driving the offense fell to him; he played upwards of 85% of his team’s points and went virtually every-other on most of them. Bray was able to create offense from a standstill on the back of his arsenal of creative throws — not to mention his unwavering confidence in them — and his outstanding field vision, which made him the elite distributor of the college division. A big highlight for the southeast standout came at Easterns, when his run of assists had him firing on all cylinders. His influence was not limited to throwing, however, as he occasionally slipped downfield to cut under or score deep, doing so with the same athletic authority his showcased as an underclassmen. To top it off, he also came up with a handful of plays on defense when Georgia needed to earn the disc back. Despite always being at the center of his opponents’ game plans, Bray still managed to produce time and time again. 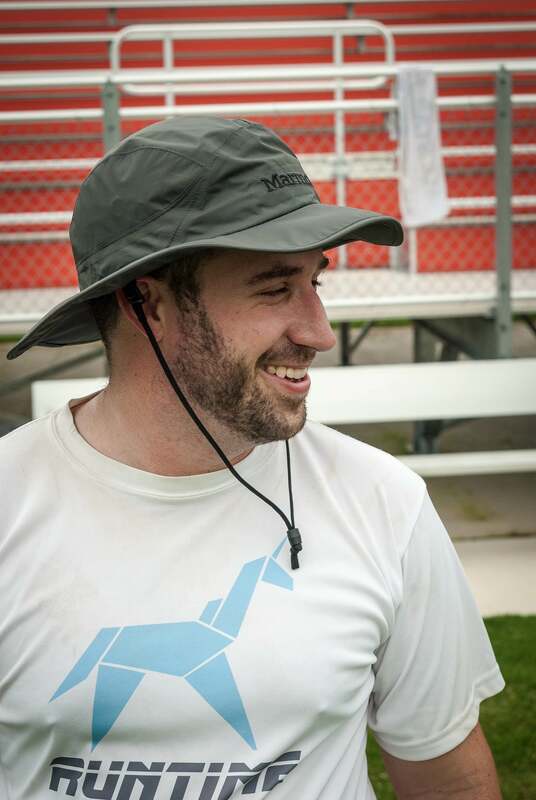 Jagt burst onto the scene in 2016 when he led Minnesota Grey Duck to a National Championship. 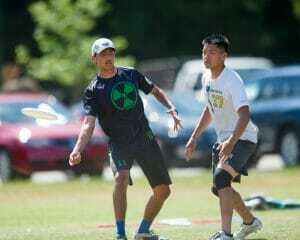 In his first two season on Grey Duck, we saw his game expand from devastating cutter to dangerous thrower. And though he entered the spring as a renowned offensive threat, this season he evolved to show us a new aspect of his abilities: his defensive acumen. Jagt made the transition over to Grey Duck’s defensive unit, where his height and agility made him a threat to generate blocks under and deep. But, more importantly, after a turn opponents’ O-lines had to attempt to guard one of the premier cutters in the country — a task which turned out to be too much for many, as Jagt found the end zone over and over again. While his Nationals numbers weren’t as a gaudy, his presence demanded more and more attention from Minnesota’s opposition. 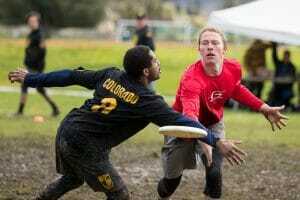 Despite an early exit in quarterfinals to the eventual champions, 2017 was a worthy encore from the Grey Duck standout. After missing out on Nationals his last season, Joe Freund led Virginia Tech to their first-ever College Championships appearance in 2017 and left a big impression on everyone in Mason. With 16 goals and 17 assists in only five games, his eye-popping statistics paint a pretty good picture of the impact he has on the field. But what makes Freund stand out above some of the other “good stats, bad team” guys this season is his workload. 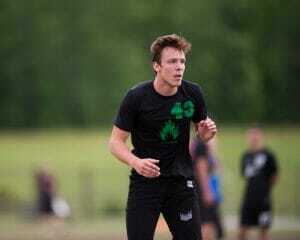 With the frame of a downfield threat and the quickness of a shifty handler, Freund was deadly in every direction. He had to be, as the team relied on him to both move the disc in the backfield and be the primary option downfield, all at the same time. Despite going win-less in Mason, Freund proved to be one the best players on the field in every game he played, and with at least two seasons of college still to come, this likely won’t be the last we see of the spectacular sophomore. On a team full of insanely talented players, Yanuck was the clear D-line leader for the national champions. His lockdown handler defense caused havoc in opposing backfields, and his steady hand on offense was responsible for multiple breaks a game at the College Championships. On one of the youngest teams at the tournament, Yanuck was collected when it counted, registering two assists, one goal, two blocks, and not a single turnover in the title game. He’s living up to the expectations placed on him as one of the top recruits in his high school class and after polishing his game with elite club experience, showed poise, leadership, and great break throws this season. In particular, his expertise at dissecting zone defenses was incredibly valuable for CUT on their way to the championship. On a team of outstanding defenders, Wariner was the leader of the D-line and an all-around star. He earned Ultiworld’s Defensive POTY honors on the strength of his incredible ability to guard any position and earn takeaway blocks while doing so, but that only captures part of his skill set. In the past two years, Wheaties has expanded his game from simply being an athletic cutter to also serving as a rock-steady handler on the turn. His ability to routinely roast his mark upline, pull down skies on Ian Sweeney’s hucks, or powerfully launch a shot of his own made him a force to be reckoned with on both sides of the disc. 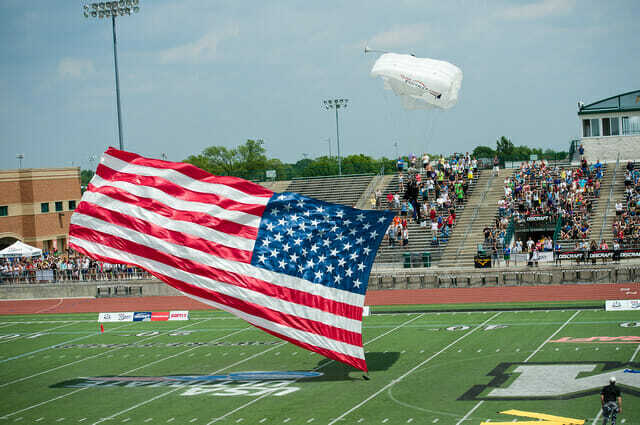 Comments on "2017 All-America D-I Men’s Teams"